There’s a village an hour from London. It’s no different from many others today: one pub, one church, redbrick cottages, some public housing, and a few larger houses dotted about. Voices rise up, as they might anywhere, speaking of loving and needing and working and dying and walking the dogs. This village belongs to the people who live in it, to the land and to the land’s past. It also belongs to Dead Papa Toothwort, a mythical figure local schoolchildren used to draw as green and leafy, choked by tendrils growing out of his mouth, who awakens after a glorious nap. He is listening to this twenty-first-century village, to its symphony of talk: drunken confessions, gossip traded on the street corner, fretful conversations in living rooms. He is listening, intently, for a mischievous, ethereal boy whose parents have recently made the village their home. Lanny. With Lanny, Max Porter extends the potent and magical space he created in Grief Is the Thing with Feathers. This brilliant novel will ensorcell readers with its anarchic energy, with its bewitching tapestry of fabulism and domestic drama. 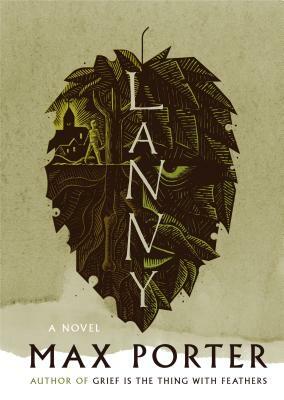 Lanny is a ringing defense of creativity, spirit, and the generative forces that often seem under assault in the contemporary world, and it solidifies Porter’s reputation as one of the most daring and sensitive writers of his generation. Max Porter is the author of Grief Is the Thing with Feathers, which won the International Dylan Thomas Prize and The Sunday Times/PFD Young Writer of the Year Award, and was short-listed for The Guardian First Book Award and the Goldsmiths Prize.